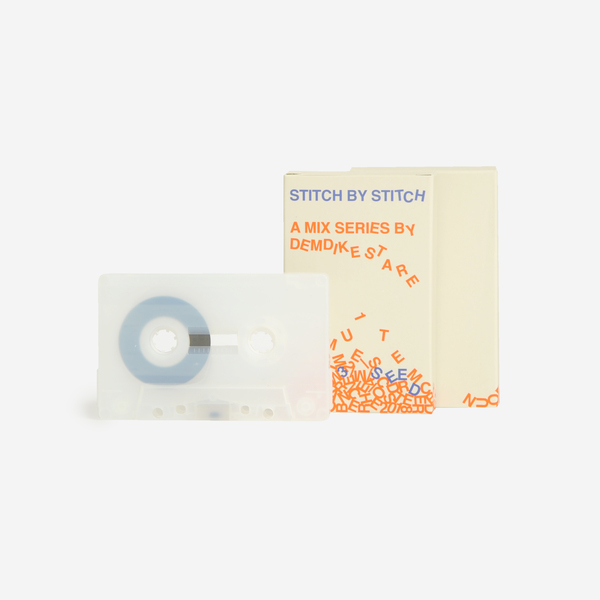 The third tape in the Stitch by Stitch series dives into deeply weird avant-pop, R&B, rap and dancehall mutations, squashed inbetween edits made by demdike especially for the series. It’s on a proper outsider tip, feeding white noise into bassline bumps, looped horns crashing into choral refrains…gamelan transitions, extreme timbo>>araabmuzik MPC craziness, loping strings, ancient harps, bubblegum pop, garage punk, artificial intelligence, rochdale, burnley, salford..angular 2-step and curled flutes - joyous, deep and properly mind expanding. 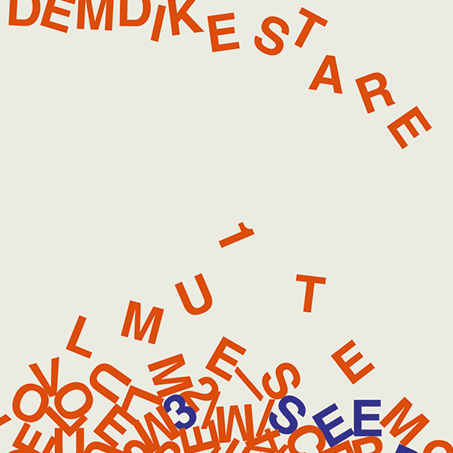 Part four - due soon - will feature exclusively unreleased dark, colossal, abstracted brilliance - 100% demdike. 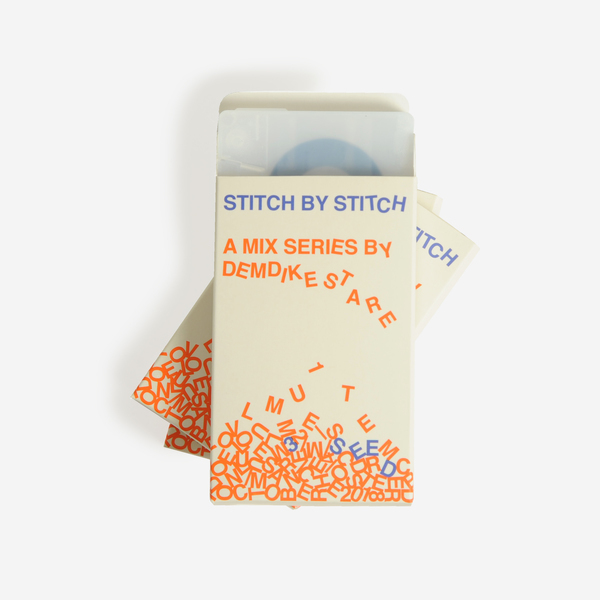 The third tape in a four part series, slots into the outer box that came with parts 1&2. 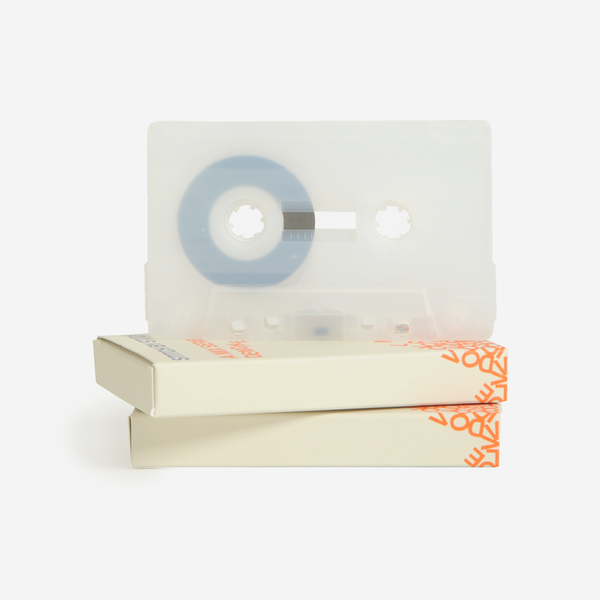 Pressed on milk tapes and housed in custom-made and printed packaging. Strictly limited copies.